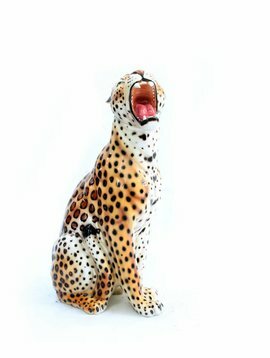 Do you like something extravagant? 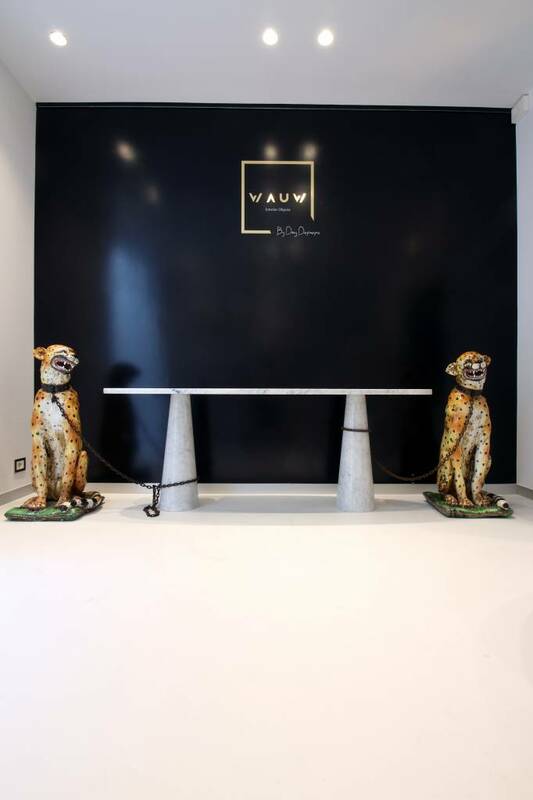 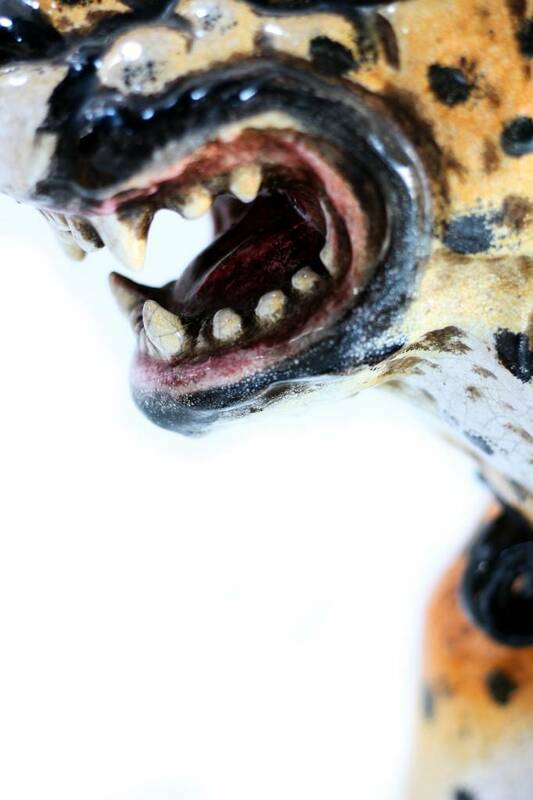 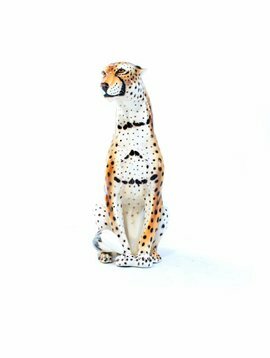 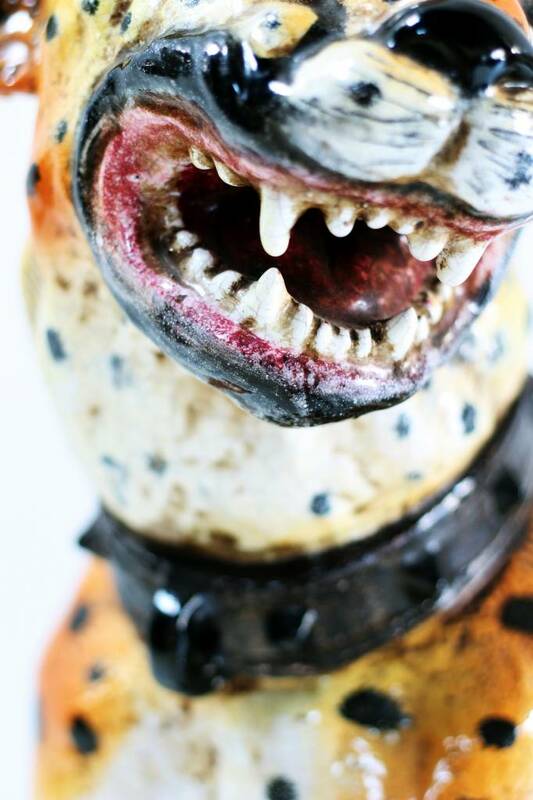 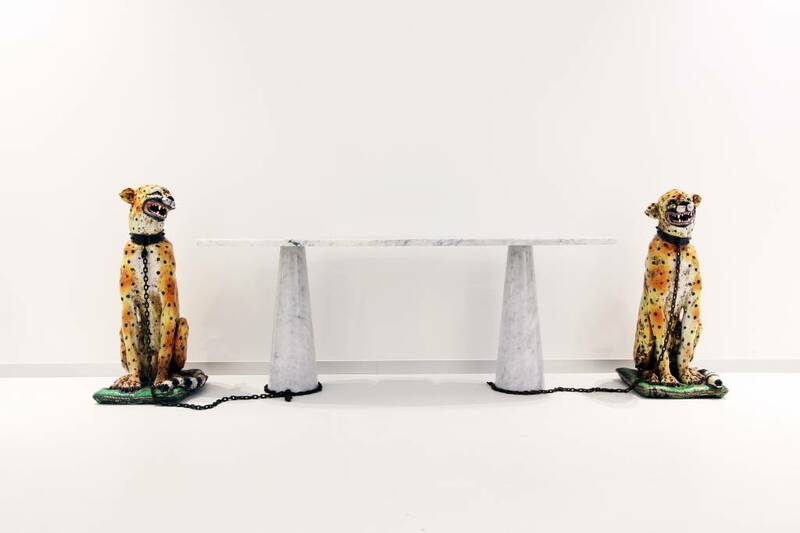 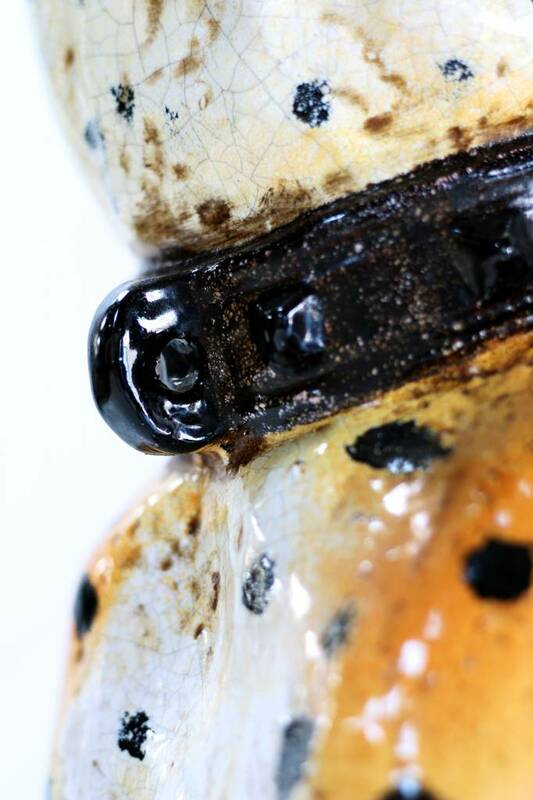 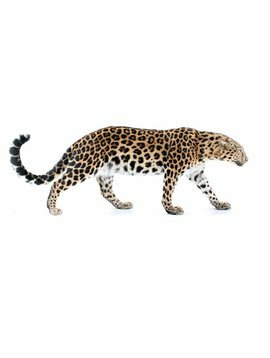 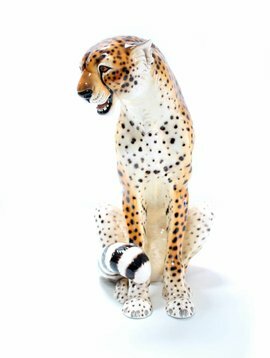 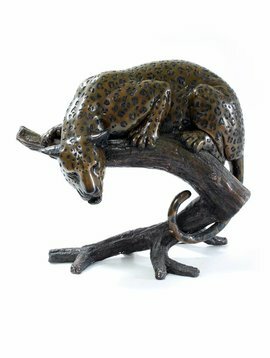 These antique ceramic leopard sculptures are hand-crafted and have an incredible patina and appearance. 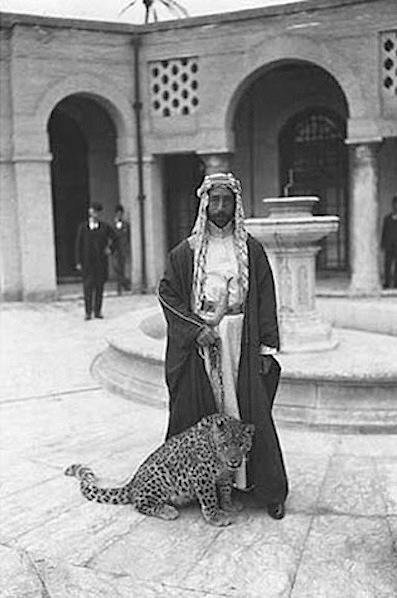 The unique thing about those leopard images is that they are royal and adorn the entrance hall of palaces. 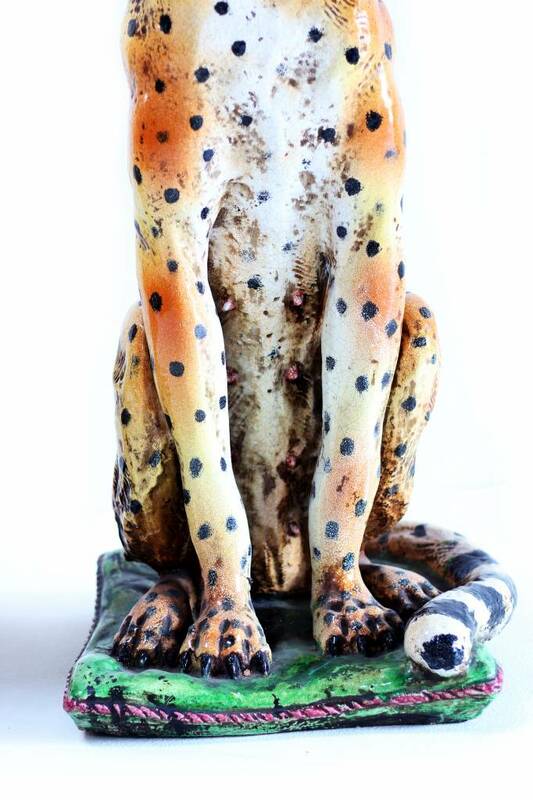 In the past, the kings had leopards as pets and served both as a status symbol and as a protection of the palace. 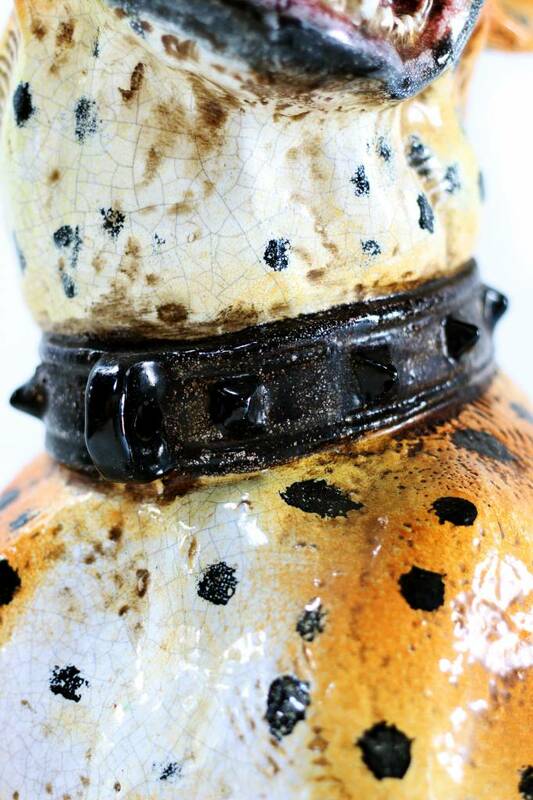 You can see this on their necklace. 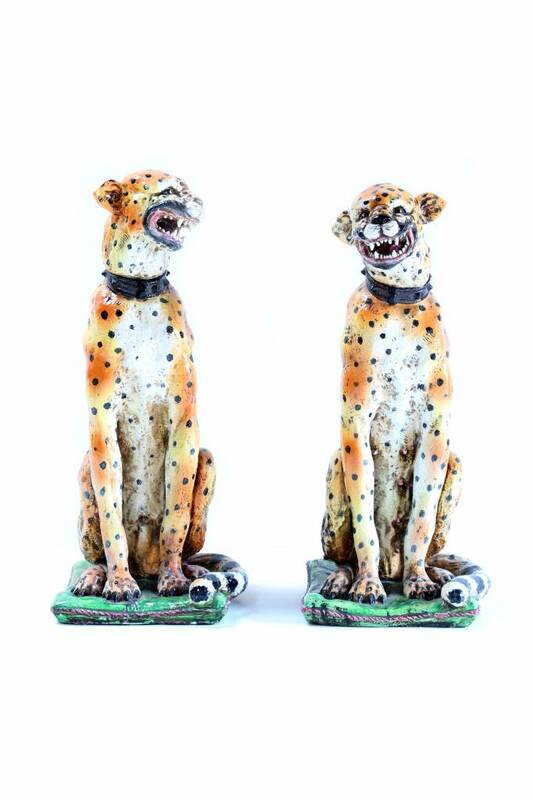 This is extremely rare to encounter a couple knowing that the images are more than 100 years old. 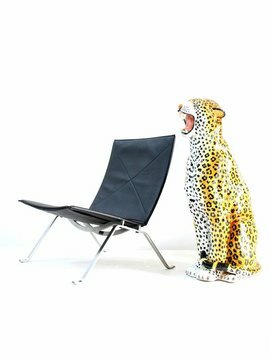 Give an xtra cachet to your interior!